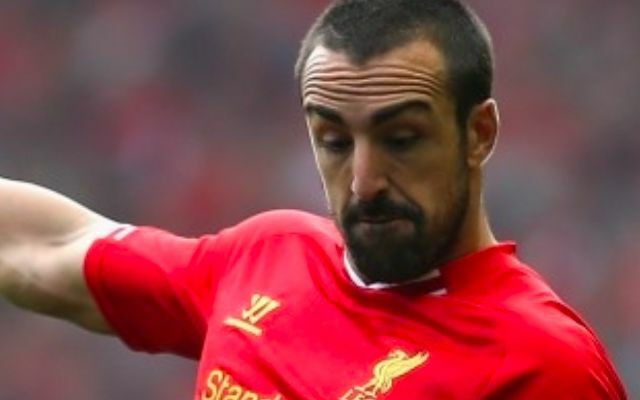 Jose Enrique has revealed that he has been suffering with a brain tumour over what he has described as the ‘toughest weeks’ of his life. The former Liverpool left-back took to social media to announce that he has undergone surgery to remove the rumour and is now currently in recovery. Enrique played for the Reds between 2011 and 2016, making 99 appearances and winning the 2012 League Cup during his time on Merseyside. Injuries evidently hindered the Spaniard over the latter stages of his career, with a long-term knee problem leading him to hang up his boots with Real Zaragoza in September 2017. In a post on his official Instagram page, the 32-year-old has explained how he was diagnosed and then treated for a ‘rare brain tumour’ in the space of four weeks. Reds have responded in their numbers to wish the former defender well in this tough period in his life. Jose Enrique was diagnosed with a rare brain tumor but after having surgery, he is on his way to full recovery.